Drive attendees to your brand at ACS National Meeting -- Plus Additional C&EN Print Exposure. Advertise in the official show publication, the ACS Meeting Insider, and place your messaging alongside relevant, widely read content onsite to over 15,000 attendees. 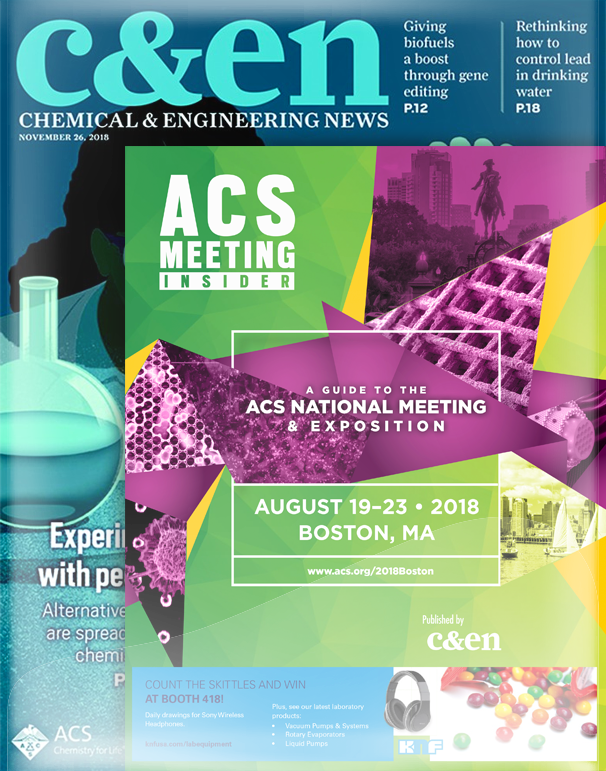 Distributed onsite at the ACS National Meeting, the ACS Meeting Insider not only reaches meeting attendees, but is polybagged with our regular C&EN issue and distributed to our wider print audience of over 100,000 subscribers. Get ideas and strategies for the Spring and/or Fall ACS National Meeting. Fill out the form to get in touch and download rates and specifications! Who is the C&EN Media Group? Complete the form below to get in touch about ACS National Meetings in 2019.